We like to call the processes that have made up Toyota’s magnificent company culture and seamless manufacturing processes as Toyota Six Sigma. 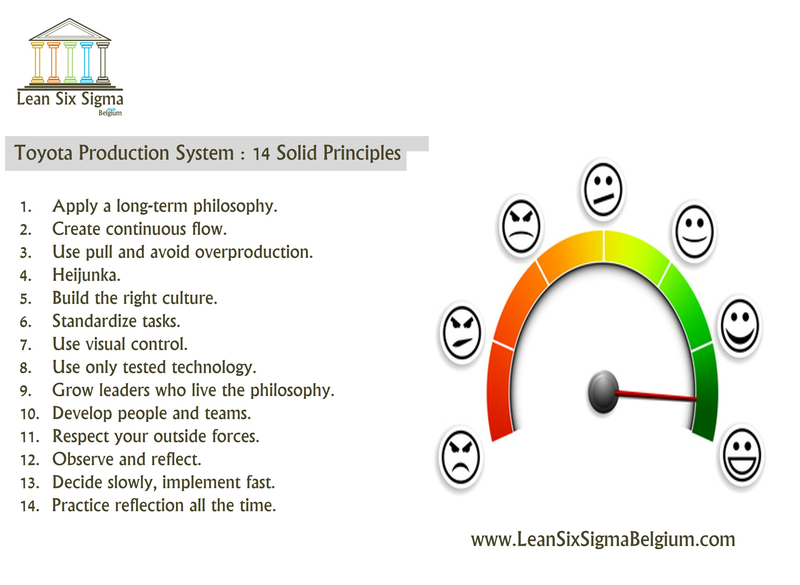 It’s not enough to call it lean or Six Sigma in itself. Just like a Japanese craftsman of old, they’ve honed their company culture to a sword’s edge, and done so with serenity and sublime patience. 1. Stop the production line. Preventing breakdown and problems in exchange for delays is better than fixing machines or replacing them entirely. Finding that balance wherein your stock is just right for how many units are actually selling is key. If it can happen in-house, make it so. Eliminating sub-contractors and waste is a crucial part of Toyota Six Sigma. 4. Don’t max out the workforce. Faster doesn’t necessarily mean more revenues. If you have overproduction, that stock goes to waste anyway and you lose more money. Again, it’s all about the blade’s balance. 5. Know when to start the process with manpower. Technology is only there to support. Automation is cheaper but more expensive to fix and tweak. Highly-trained people, on the other hand, can handle problems more flexibly and are sharp as swords. 1. Apply a long-term philosophy. Always go for the long-term instead of short-term. Even if your immediate future might suffer, you’ll have better chances of surviving and growing as a company if you look decades into the future. Making money is actually a short term goal, look to generate value for years down the road. This means that from the moment the part leaves the inventory to the point of sale, there should be little to no delay. Although a single issue can shut a whole process down, it’s easier to identify and address. 3. Use pull and avoid overproduction. Again, we love how they want to achieve that balance between what’s actually selling and what they’re making. Eliminating wastage and excess stock keeps their capital huge and their profits clean. Consistency is more important than meeting demands. You have to maintain a pace that does not over exert the company. If there is a great demand, your customers simply have to wait. Don’t think of the clients who turn away as lost business, it’s simply good practice not to overtax your machines and your people. 5. Build the right culture. 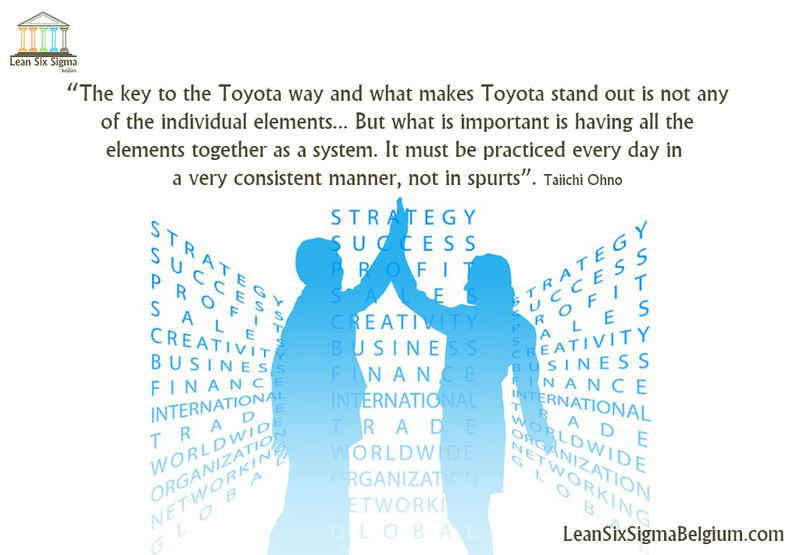 The lean processes of Toyota Six Sigma shouldn’t be contained to the production line. It should show up even in customer relations and company meetings. Standard worksheets leave little room for defects and are a perfect guide for a person right there in the production line. Visual cues like cards and sign in the factories are the easiest ways for people to read signals. Always go with what’s easy and familiar to your workers. 8. Use only tested technology. Keep in mind that tech should only support your production line. You didn’t train your team just to hand them a smartphone with a paid app. 9. Grow leaders who live the philosophy. Egos have no place in the Toyota Six Sigma. Decisions are made by higher-ups with customer and employee feedback since these are the stakeholders. 10. Develop people and teams. Teamwork can only flourish and help your company if you respect one another. Toyota respects even their competition. 11. Respect your outside forces. Toyota honours its suppliers and strives to better them. They demand strictly and often heavily, but only because they want their suppliers to achieve excellence as well. Managers never stop looking at the process. They repeat the design and implementation again and again searching for ways to improve. 13. Decide slowly, implement fast. Take the time to think and analyse the data. When you’ve made a decision, do not hold back. The time for doubt had already passed. 14. Practice reflection all the time. 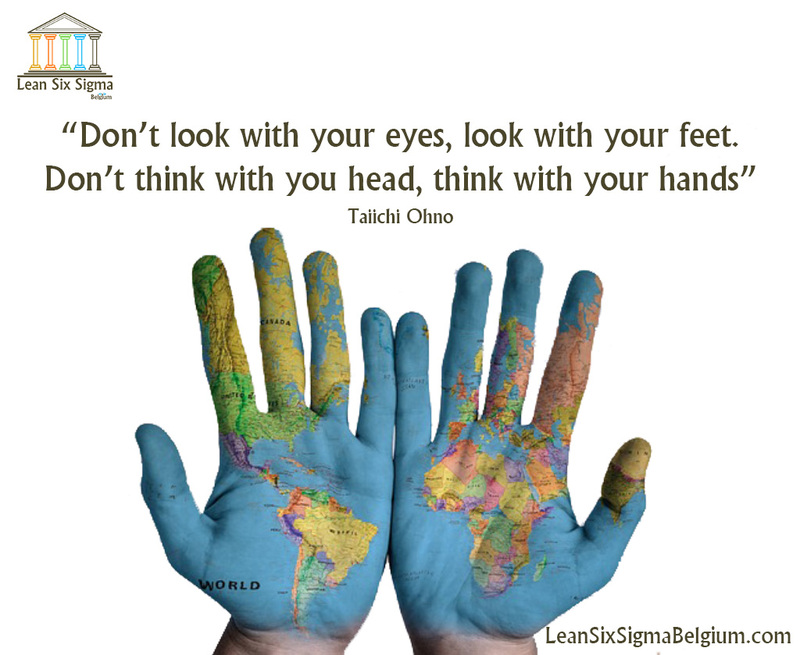 Toyota Six Sigma leans on the fact that they are a learning organization. There’s always something more to do and develop. 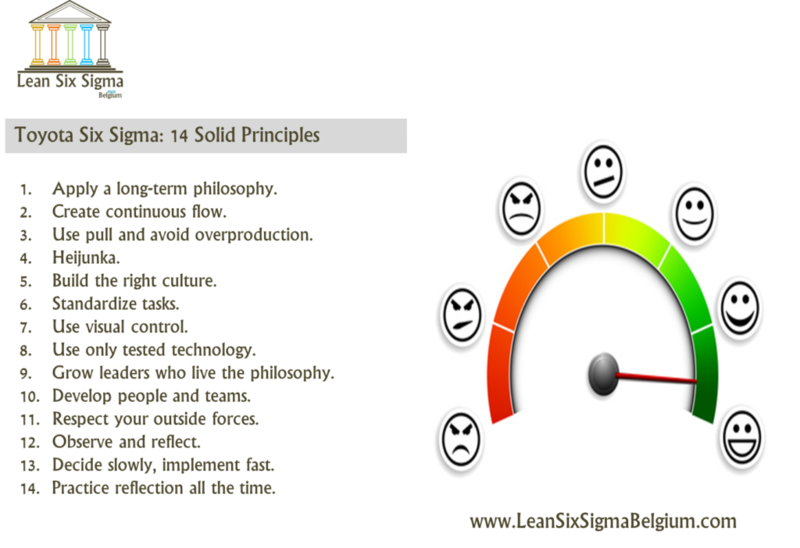 In the end, these 14 principles are there to guide you in creating a Toyota Six Sigma for your own company. Not all of these may apply but it’s always good to look to someone else’s best practices. What Is It Like Using Lean in The Banking Industry? 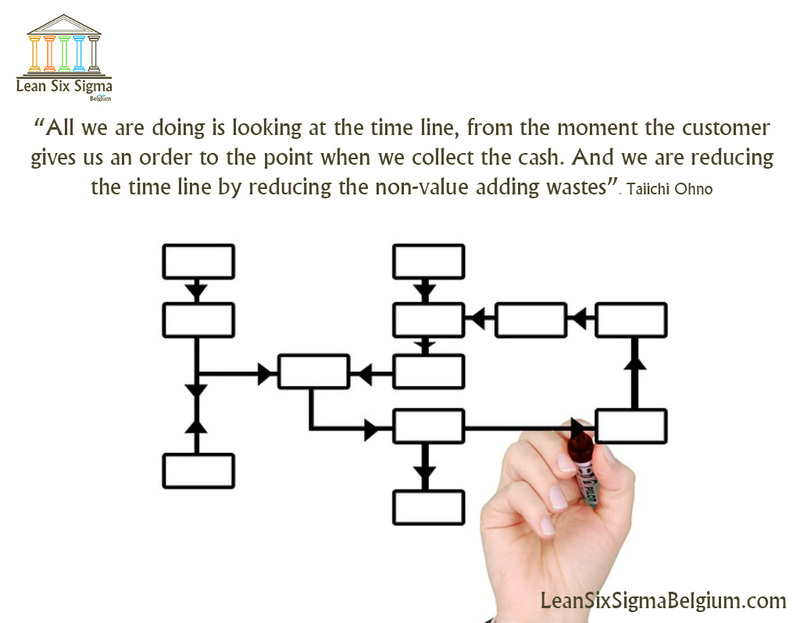 Lean vs. Six Sigma, Round 1, Fight!